WATCH Wedding Trends: Feeding Tubes to Lose Weight? Brides-to-be looking to shed that final 10, 15 or 20 pounds in order to fit into their dream wedding gown have taken a controversial approach to crash dieting that involves inserting a feeding tube into their noses for up to 10 days for a quick fix to rapid weight loss. The K-E diet, which boasts promises of shedding 20 pounds in 10 days, is an increasingly popular alternative to ordinary calorie-counting programs. 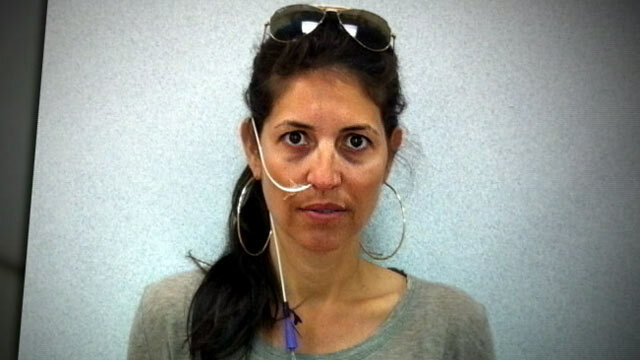 The program has dieters inserting a feeding tube into their nose that runs to the stomach. They're fed a constant slow drip of protein and fat, mixed with water, which contains zero carbohydrates and totals 800 calories a day. Body fat is burned off through a process called ketosis, which leaves muscle intact, Dr. Oliver Di Pietro of Bay Harbor Islands, Fla., said. "It is a hunger-free, effective way of dieting," Di Pietro said. "Within a few hours and your hunger and appetite go away completely, so patients are actually not hungry at all for the whole 10 days. That's what is so amazing about this diet." Di Pietro says patients are under a doctor's supervision, although they're not hospitalized during the dieting process. Instead, they carry the food solution with them, in a bag, like a purse, keeping the tube in their nose for 10 days straight. Di Pietro says there are few side effects. "The main side effects are bad breath; there is some constipation because there is no fiber in the food," he said. Slipping into a wedding gown for a dream wedding is a moment of truth for most brides, but as many say that there is a real fear that it will not quite fit. That's how Jessica Schnaider says she felt with a June wedding approaching and 10 pounds she says she couldn't lose. She was desperate for a quick fix. "I don't have all of the time on the planet just to focus an hour and a half a day to exercise so I came to the doctor, I saw the diet, and I said, 'You know what? Why not? Let me try it. So I decided to go ahead and give it a shot," she said. Schnaider said she was never hungry throughout the 10 days she was on the K-E diet, but admits that it still wasn't easy. "I was tired. I didn't feel like exercising. The doctor told me that if you can compliment with walking for a half an hour on the beach, that would be great, but I didn't feel like doing that. I'm a very energetic person, but those days I was a little tired." But critics warn that losing too much weight too fast can be dangerous, and it ultimately won't last. Di Pietro warns that people with kidney issues should avoid the diet. Many doctors also say that with so much pressure on brides to be perfect, it's easy to understand why this kind of rapid weight loss might seem appealing, but might not be healthy. "If you lose the weight too quickly your mind is not going to be able to catch up with a newer, skinnier you," psychoanalyst Bethany Marshall of Beverly Hills, Calif. said. Schnaider says that in her case she actually only kept her tube in for eight of the 10 days, skipping the last two because she'd already lost the 10 pounds she wanted. +How Do Supermassive Black Holes Get So Big?